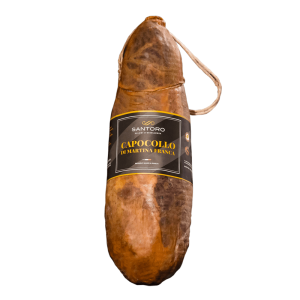 His majesty, the Capocollo di Martina Franca. Do not you already smell the perfume? 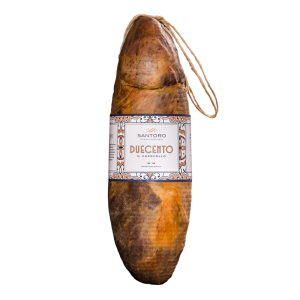 It is that of smoking with the bark of fragno and the almond husk. The cooked wine instead is that of slow marinating. The meats of the most precious swines of the Murgia make this typical product from Puglia, wich is the Capocollo di Martina Franca, unique. 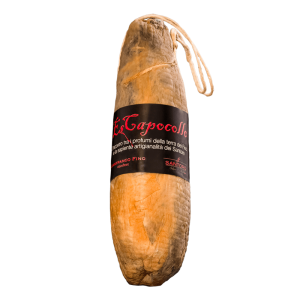 Our Capocollo is available in four versions: whole, in wooden box, slice and tin. 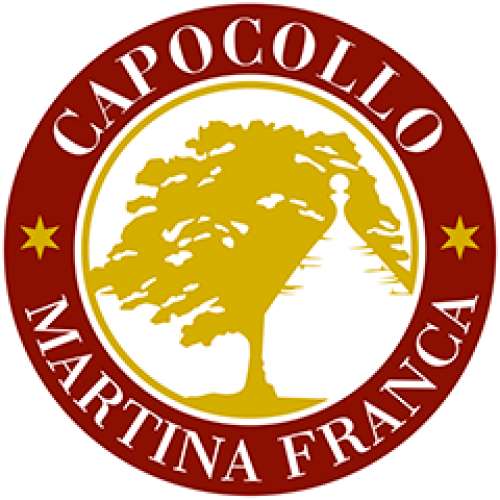 Store the Capocollo di Martina Franca in a cool and dry place, consume within 6 months from the packaging date.